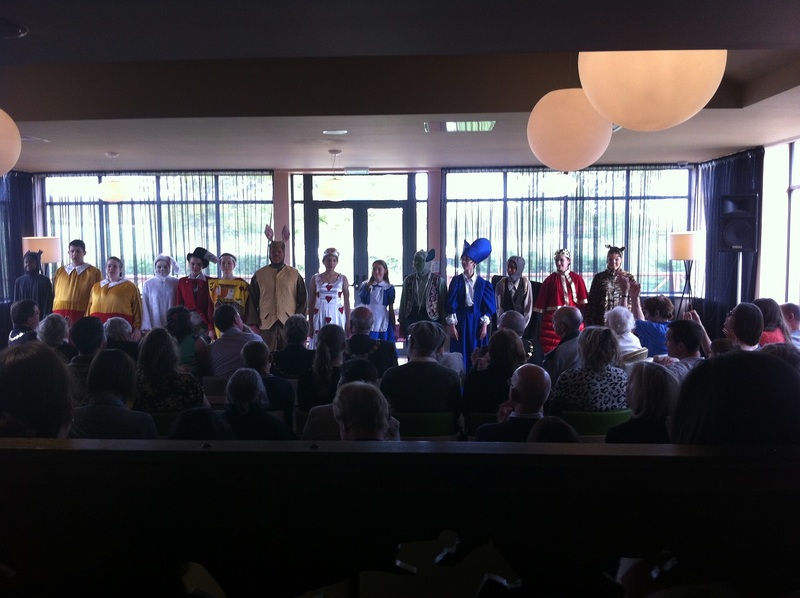 On the 9th May 2015 we took over the Holiday Inn at Huntingdon Racecourse as we prepared a production of The Mad Hatters Tea Party. Although initially planned to be outside mother nature took charge and we moved it inside where the staff of the hotel had provided a selection of cakes, biscuits and drinks for our guests. Graeme Hammond was responsible for writing the script taking parts from the books and other stage adaptations we’d performed to create a 20 minute piece set in one of Lewis Carrolls most iconic scenes.